Hello friends! I’m in love with look two for fall fashion with TOBI clothing. On that note, I also wanted to say THANK YOU for all of the amazing feedback and comments concerning my fall fashion collaboration with TOBI clothing, and the first look. Whether it is here or via the haute cookie social media accounts, I am sincerely so humbled and thankful to all of you that follow me. It’s such an honor to have a platform to use for inspiration to others. Your positive support only motivates me to keep working harder, so thank you! This long black tunic is sooo fall because its long, draped, and has so much movement when you walk in real life. What is one of your staple go-to fall pieces? This top is now definitely one of mine. Sooae, you really have a very casual and chic look that is both comfortable and practical! 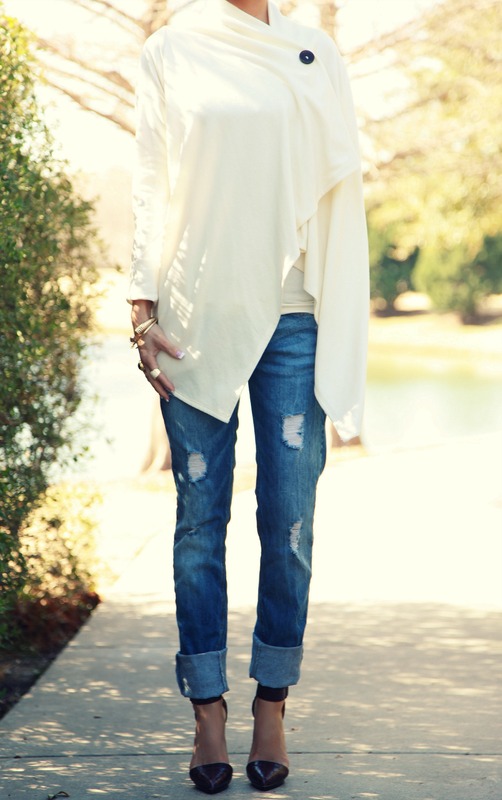 Now that the temperature is dropping, I need this tunic in my wardrobe too! You look so stunningly sophisticated! You are so pretty. The shoes and the tunic together are so stylish! Amazing look! You always look perfect. I absolutely adore your top Sooae and it looks so good with your Classic bag! love that top but how is the fabric? not too thick and very soft. thanks! xo! WOW that top is amazing. I love that it’s unique and chic. You styled it beautifully!